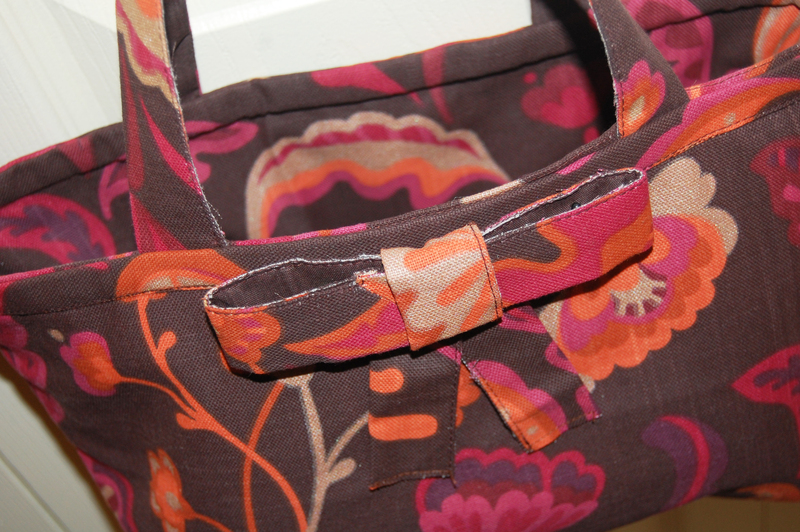 Creative Visions and a Placemat Purse | Sew Lindsay, Sew! 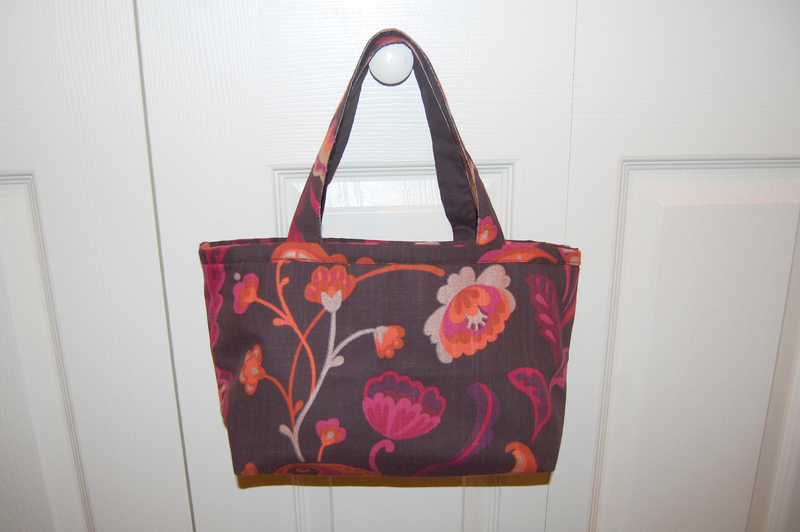 A few weeks ago, I found some clearance placemats at Cost Plus World Market and had a vision – I could easily turn a few placemats into a purse. I still consider myself pretty inexperienced when it comes to sewing, so the fact that I felt so confident about my vision also made me feel a little wary, as if I were missing some glaring error in my plans. But there was no way I could pass up the opportunity since the placemats were marked down to less than $2.00 each – and I had a rewards coupon on top of that – so I brought home two place mats and a matching napkin to see what I could do. I worked slowly and did a lot of thinking before I made any permanent decisions along the way, but lo and behold, I made a placemat purse lined with the napkin! … lined with a matching napkin. 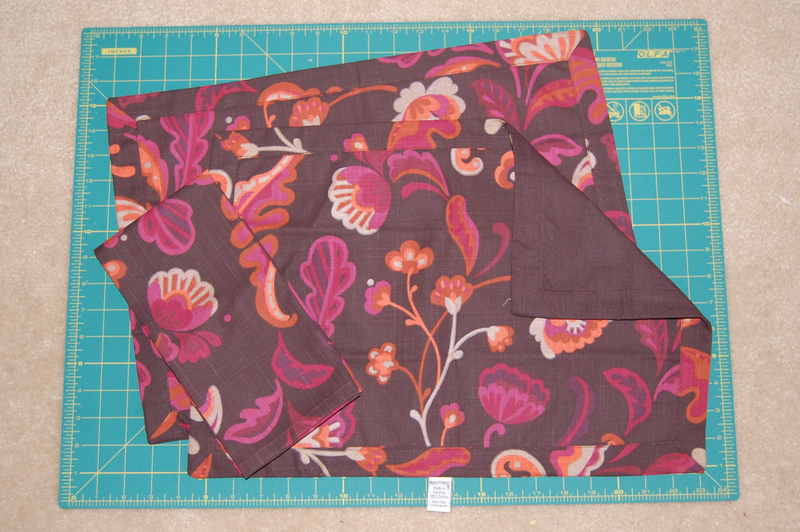 I still have a little bit of fabric leftover and I think I can make a zipper pouch with it. I also bought a few more placemats and napkins so I can make another purse, document the experience with photos and write a tutorial soon. « The Quilt Cottage & other tales from up North! That is FANTASTIC!! Isn’t it fun & impressive when something you just decide to make actually comes together??!! I surprise myself often as well (as another newbie sewer). That’s very, very cute! Great job!! I’m finding my eyes looking at bags as women walk by & think…oh look at that hardware or wonder what kind of interfacing is used…or when I start looking at sheets as yards of fabric instead….hmmm…I think I’ve been sewing too much lately huh? 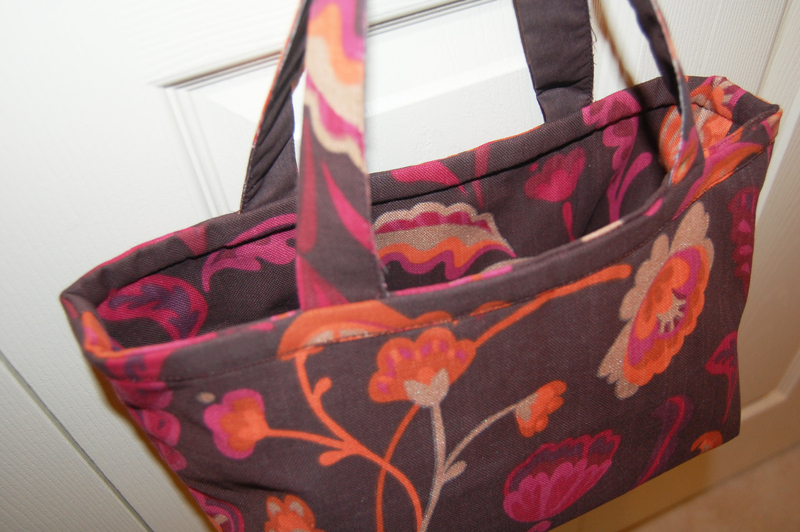 what a great looking tote! it looks so “finished.” the pattern is pretty. do you have any idea what it’s called? i think an ebay search is in order!